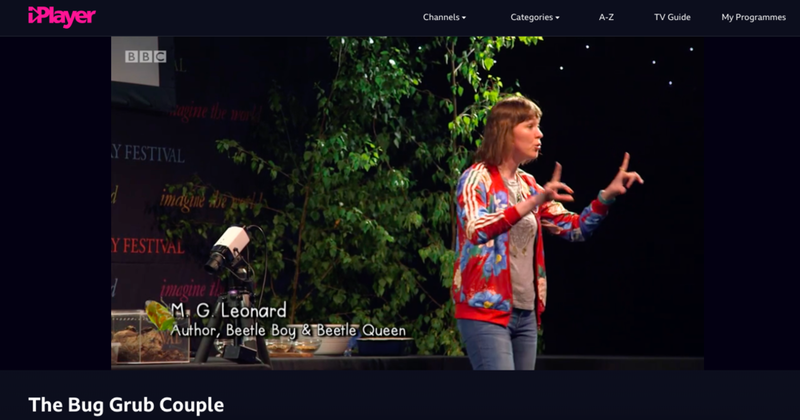 The BBC have repeated their great 30 minute documentary about Dr Sarah Beynon (scientific consultant to the Beetle Boy books) and Andy Holcroft's (bug chef extraordinaire) mission to get the UK eating bugs - The Bug Couple. My 2017 Hay Festival event with Sarah and Andy was filmed for the documentary and features in the film. We got the audience munching insects. If you were there, you might spot yourself eating a cricket cookie.